The alternative! A new power in your hand! Dance to a wild new beat with Buddy Rave! Super powerful new cards from three different sets are mixed to give you this mega new combination! 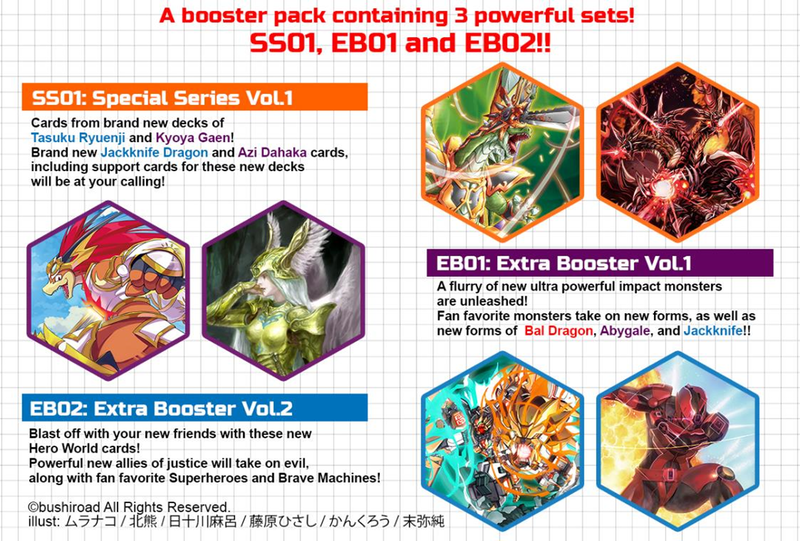 Included in this booster pack are cards and impact monsters from all worlds to power up your decks! Familiar fan favorites and new monsters take the stage! This is the time to party it out! 144 types of cards RRR: 11 / RR: 18 / R: 44 / C: 66 / BR: 5 (Parallel) + SECRET: ?? This product contains cards from all worlds! 1 PR card will be randomly inserted into each display (4 types in total)! What is Booster Pack Alternative? PR cards included to strengthen your decks! 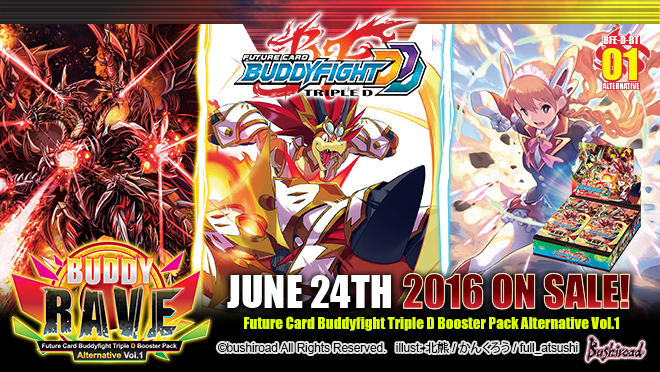 Pre-order now to receive an exclusive set of PR cards!